This is the complete yearlong set of weekly word work for Kindergarten Reading Street. 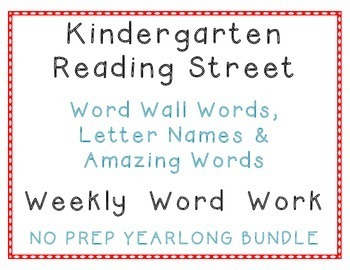 The full bundle includes printable word work sheets to go with each week of Reading Street. 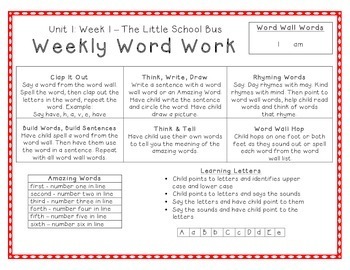 It also includes a worksheet for the the writing activity task. 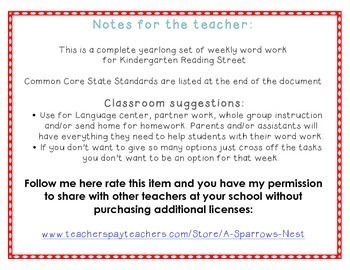 (This is optional – students can do the activity without the copies). 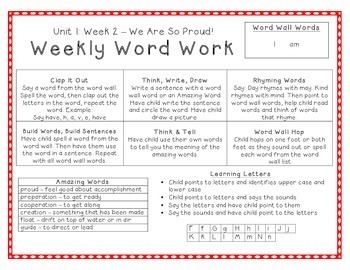 You can use this for in class work and send home weekly word work sheets for homework. Ensures parental support with what students are learning in the classroom and includes everything the parent needs to help the student learn their spelling and vocabulary. •	If you don’t want to give so many options just cross off the tasks you don’t want to be an option for that week.